Gyprock Standard 6mm Round is the original board in the Potter Interior Systems Perforated Plasterboard range. Its traditional perforated pattern has been extensively used throughout Australia for many years. 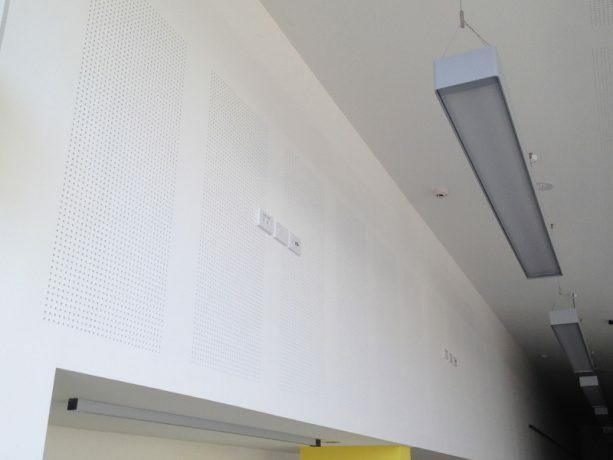 The panel perforations, together with insulation, where used, reduce echo and noise reverberation to create more comfortable environments for work and leisure. 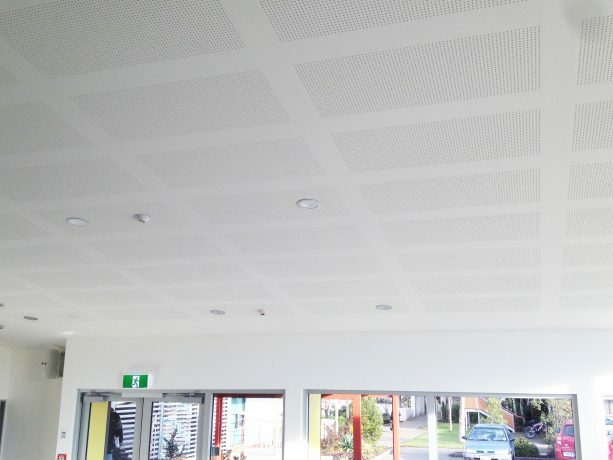 Standard 6mm Round provides an economical aesthetic solution for ceilings or walls and acoustic performance is adequate for most situations where moderate levels of attenuation are required. 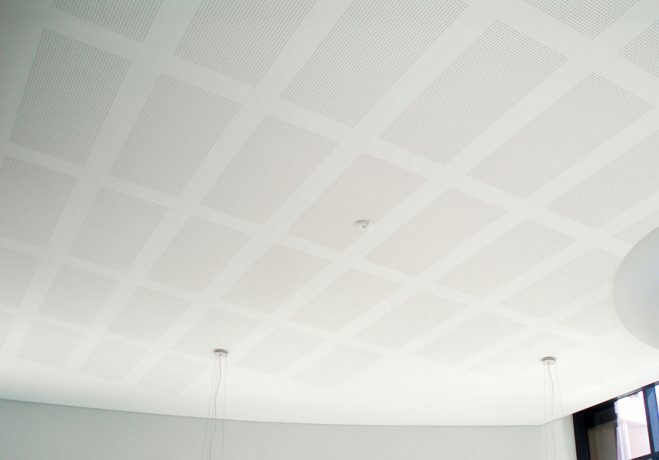 This product is supplied without an acoustic fabric backing, however installers may use a third party acoustic fabric to provide far levels of acoustic performance if required. Gyprock Standard 6mm Round is manufactured in Australia to Australian Standard AS2588 and the heavy-duty face paper is a buff colour. Standard 6mm Round is supplied as a 13mm thick sheet, 1200mm wide and 3600mm long. 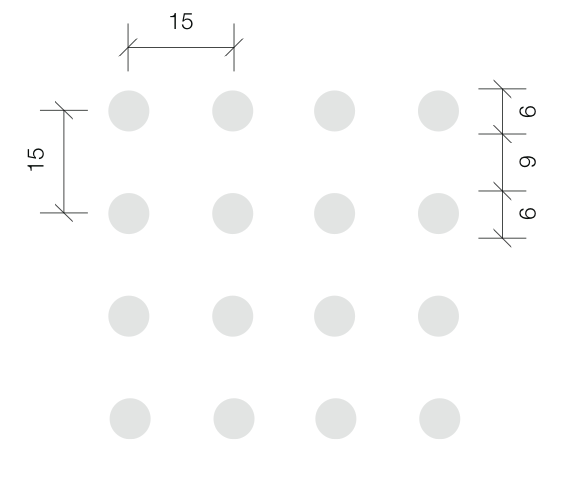 Gyprock Standard 6mm Round features six large rectangular groupings per sheet, each with 2,100 x 6mm diameter perforations at 15mm centres to provide an open area of 8.3%. The long edges of the panels are recessed for flush jointing to a smooth, continuous surface.